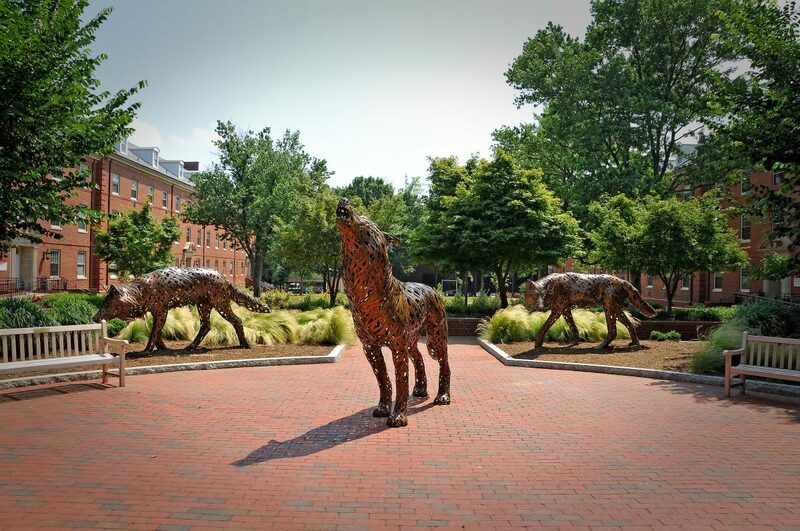 The AIF is NC State’s primary shared facility for materials characterization with a mission to enable and lead state-of-the-art research through acquisition, development, maintenance, training, and access to major analytical and materials characterization instrumentation. 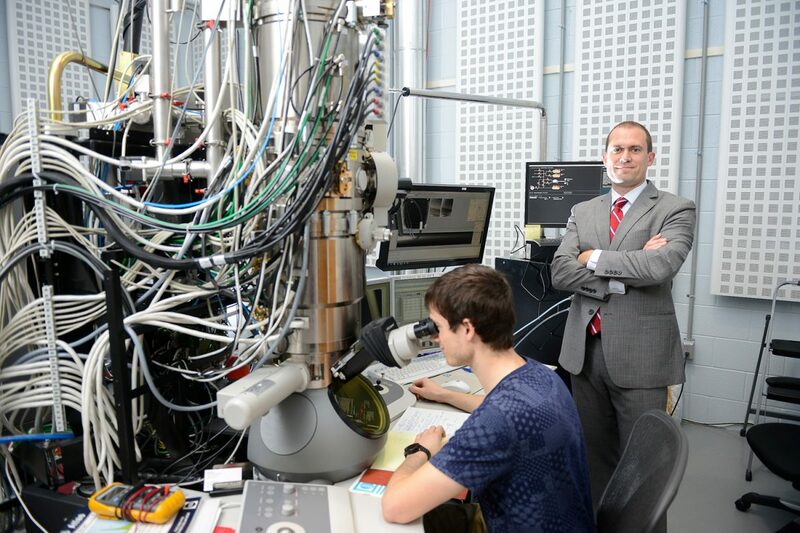 Through the support of engaged faculty and experienced staff, the AIF supports state-of-the-art scanning and transmission electron microscopes, X-ray scattering and spectroscopy instruments, time-of-flight mass spectrometry, scanning probe microscopy, nanoindentation, and extensive sample preparation facilities. Some of specialized capabilities of these instruments include chemically-sensitive atomic-scale imaging, extreme-resolution SEM of insulating and soft materials, in situ high temperature and electric-field-dependent X-ray diffraction, and in situ microscopy during heating, electrical current, immersion in fluids, and in flowing gases (to name a few). The AIF is constantly acquiring new instruments and developing new capabilities. AIF serves users from all over campus. Typically, the AIF sees over 400 unique users from over 150 Principal Investigator groups across campus. In addition, the AIF supports materials characterization services and/or laboratory access to external government, industrial, and other academic researchers. The AIF is heavily involved in student training/education and engagement with the community, offering between 30-50 short courses per year and around 50 laboratory tours to visitors, industry researchers, and classrooms. AIF’s strategic plan consists of four goals: (1) Enrich on-campus research by enhancing communication, graduate education and leveraging interdisciplinarity; (2) Strengthen relations with external communities to enhance the North Carolina workforce and economy; (3) Build the next-generation infrastructure that will enable new breakthrough research of tomorrow; (4) Enhance operational and organizational excellence. The entire strategic plan consists of strategies, actions, and measures of success for each goal. The AIF participated in a multi-institutional team that successfully competed for a site in the NSF’s new National Nanotechnology Coordinated Infrastructure (NNCI). 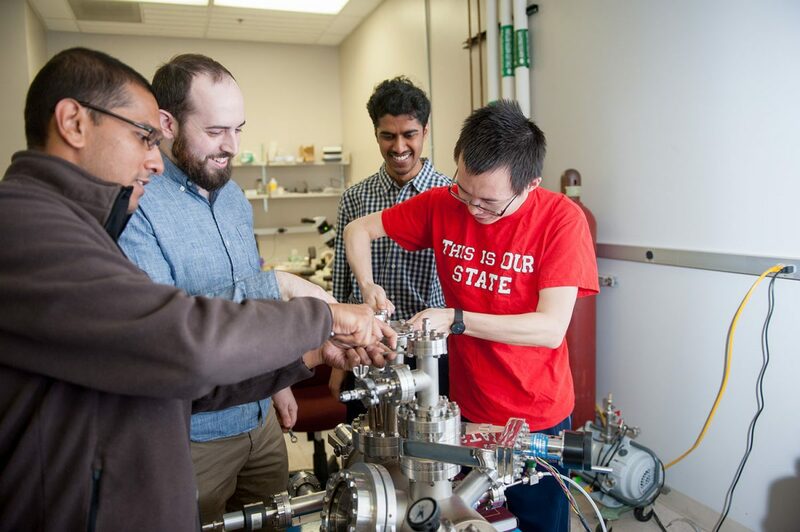 This award, forming the Research Triangle Nanotechnology Network (RTNN), is external recognition of the quality of research infrastructure available within the AIF and other facilities on campus. 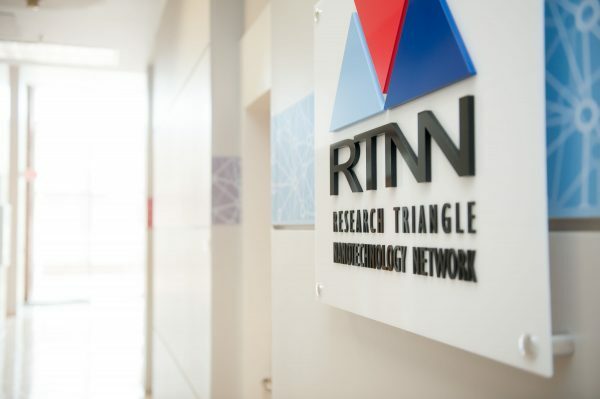 The vision of the RTNN is to be a national focal point for enabling innovative nanoscience and nanotechnology research, discovery, workforce development and education through: (1) open access to an evolving and integrated suite of cutting-edge fabrication and characterization facilities, (2) engagement of faculty and user populations with diverse research expertise to support the development of new processes, tools, and instrumentation, and (3) innovative training programs, outreach, and meetings/workshops to reach and educate new user populations. MRC 246 was renovated to house the RTNN and is now also a space that brings together RTNN staff with AIF and NNF. Come and visit AIF’s new “front door” in MRC 246!